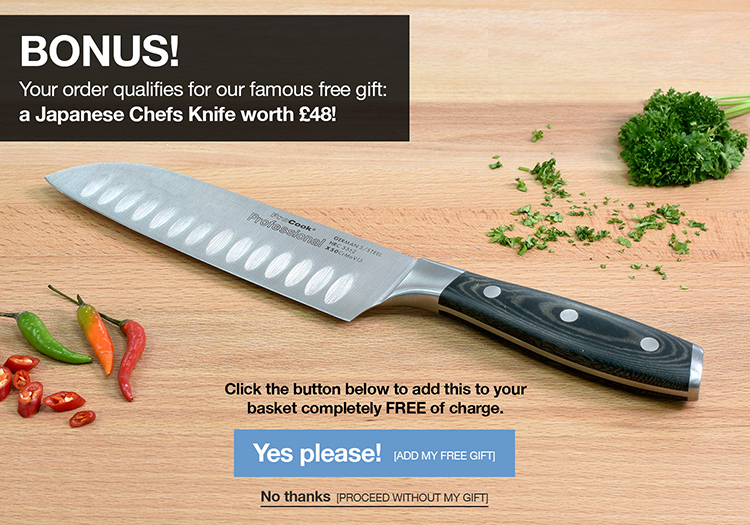 Our ProCook Elite Forged X70 carving knife benefits from a long and slightly thinner blade. It has been designed to cut large and thin slices of meat with ultimate precision. Our ProCook Elite Forged X70 knives are at the pinnacle of knife performance. Made from a single bar of the finest German stainless steel, these solid substantial knives are hot forged and stone ground before finally being ice hardened. These special processes ensure that the resulting razor sharp blade edge is retained long term. As a result these knives offer unsurpassed performance in both commercial and domestic environments. The composition of the stainless steel blade is referred to as X50CrMoV15 denoting it uses X50 stainless steel, containing 0.5% carbon, to ensure a non-brittle blade and 15% chrome. Due to the hot forging & ice hardening process, the Rockwell Hardness rating of these knives is lifted to the equivalent of 0.7% carbon or X70 steel. The handle features a triple rivet design ensuring the knife feels strong a solid in your hands with a ergonomic curve that fits the shape of your hand perfectly making them very comfortable to use for a prolonged period. Have now got a full set of these knives. Have been so pleased with them that I have bought two further sets as wedding presents. Great knife - comfortable weight and excellent cut.